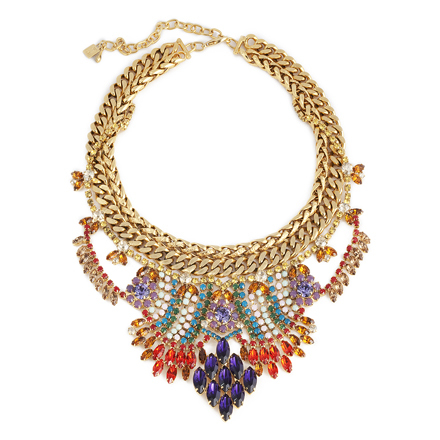 Cleo Necklace from Dannijo, $795. Mara Necklace from Dannijo, $340 for 3. 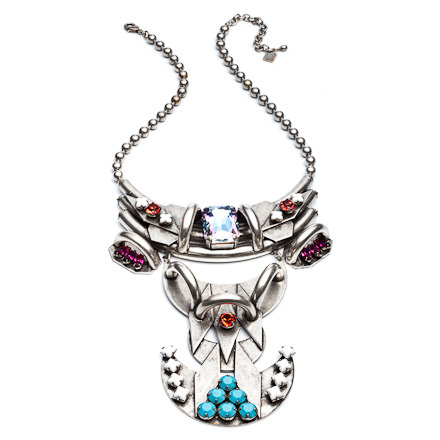 Cota Necklace from Dannijo, $795. 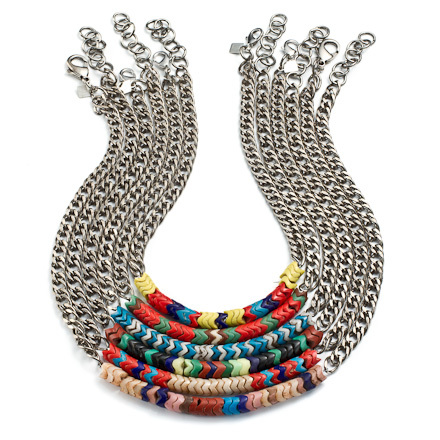 Bold necklaces are so trendy right now, they are everywhere from Banana Republic, J.Crew to street sellers in Soho. But, these Dannijo necklaces are different, their coolness level is over the top. They are hip, elegant, Rock and Roll, Spaceshipy, African, Glittery and everything else. These are the ones I selected, to see more craziness click here. Love their collection! When you buy one of these necklaces, you also need a jewelry section as cool as your jewelry in your bedroom like in the pictures above. (Don't forget: always have your jewelry section in front of a mirror). 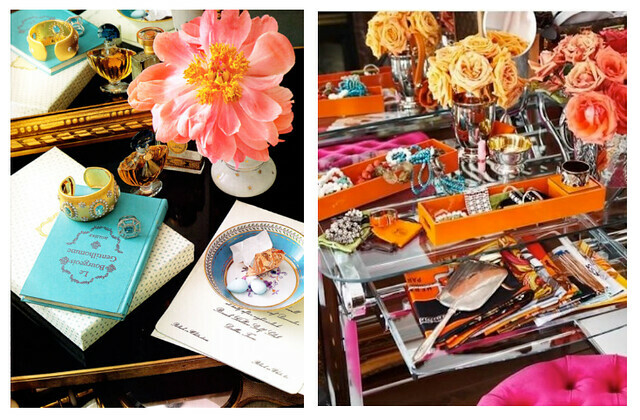 Photo 1 via Vogue Weekend, Photo 2,3 via The Decorista. such cool necklaces, love them! I love the third necklace and that rad blue hair! They went out to a Louis Vuitton Bags coffee shop to discuss the book, and Lisa told her that she hadn��t been able to finish it. Simpson told her she would like the ending. Over the years Lisa had an on-and-off relationship kate spade new york with Simpson, but it would be closer in some ways than the one she had with her father.